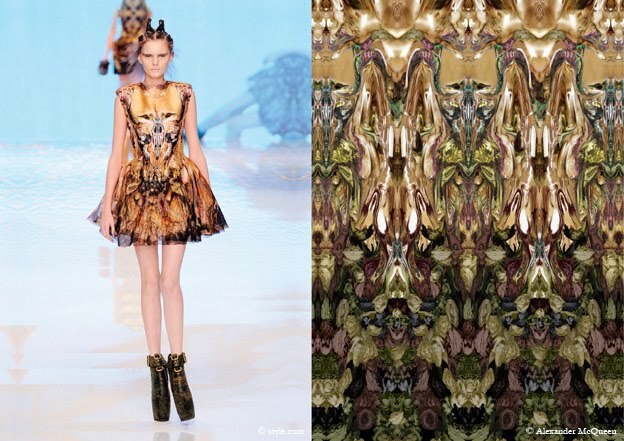 How amazing Alexander McQueen's Spring Summer 2010 collection is its print and pattern engineering. 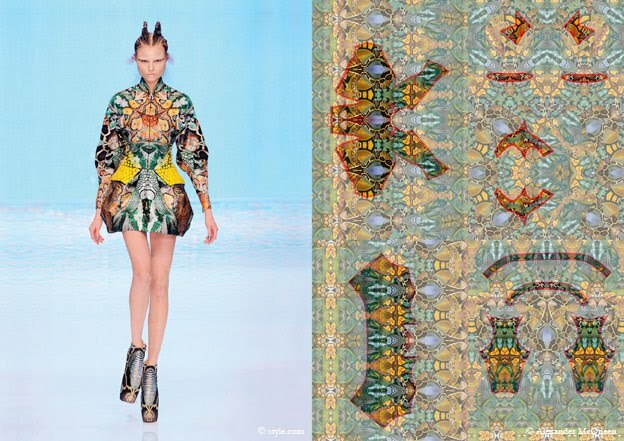 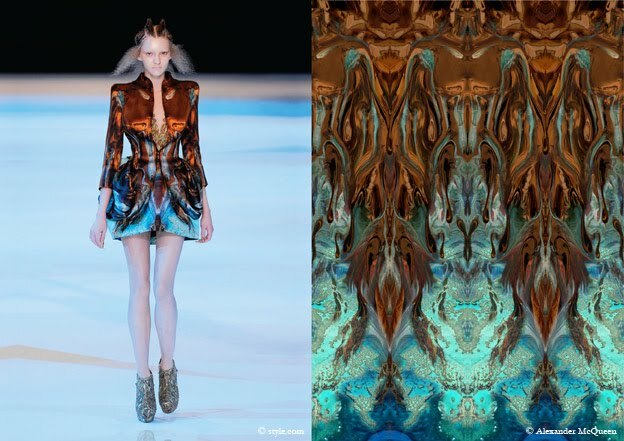 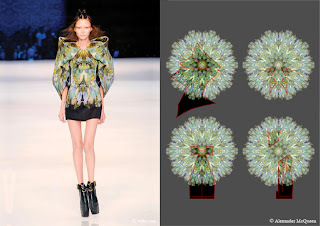 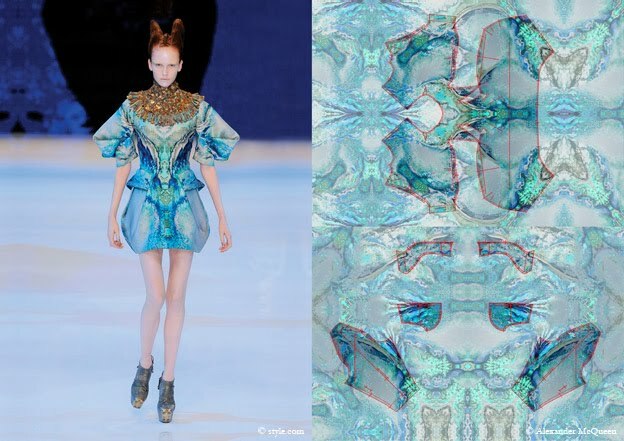 McQueen's ingenious designs and Chinsky Cheung's innovative techniques for print pattern placement solution gave birth to the one of a kind and remarkable collection the fashion world have ever seen. Using cutting edge technology such as CAD and laser. 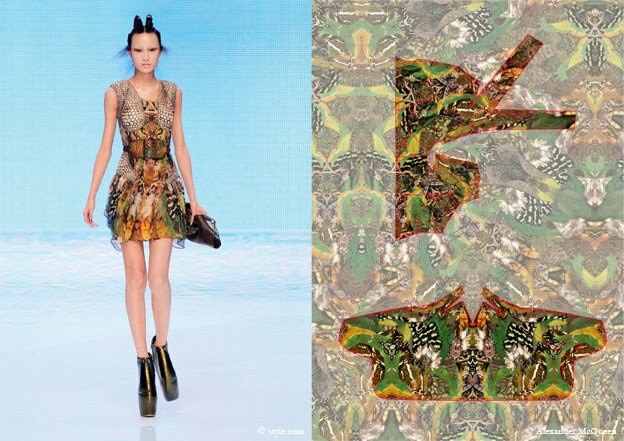 Chinsky Cheung’s work at Alexander McQueen are shown in the two latest collections. 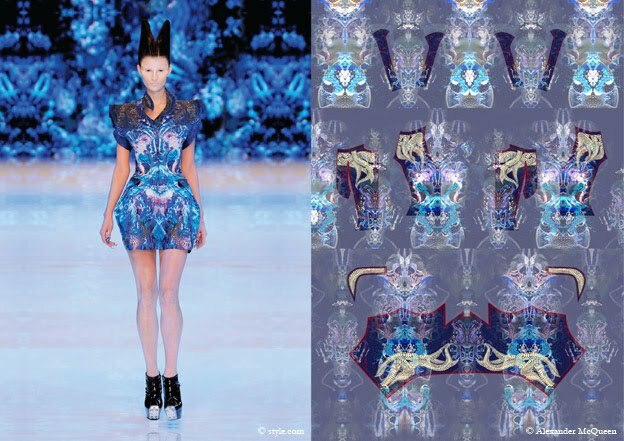 Print and pattern engineering dominate the construction and details. 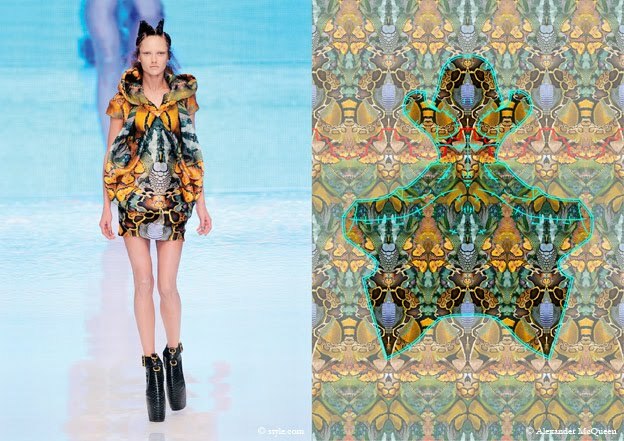 Print Design Process with Pattern Placement, Color-up and Concept Visualization.